This has become a popular question with our new CC Skywave™. According to Wikipedia, Airband, also referred to as Aircraft or Aviation band, is a group of frequencies in the VHF radio spectrum that are allocated to civil aviation radio communications. VHF is a short range, line of site transmission. Our radio covers 118 – 137MHz for Airband. In most countries a license is required to operate airband equipment but that appears to apply only to transceivers, not receivers. In some countries it is illegal to listen to or monitor the Airband without authorization (even in the UK). The language that is used to communicate on this band can be a challenge to follow. Ken Hoke’s article on Stuff Pilots Say, gives some great insight into the meaning of the seemingly cryptic language used on Airband. The primary purpose of Air traffic control worldwide is to prevent collisions, organize and expedite the flow of traffic, and provide information and other support for pilots. It was difficult to find any “history” of airband but it appears that it was first used extensively after World War I and after 1921 at Croydon airport in London. Navigation and air traffic control have changed over time and many areas use higher frequencies and RADAR and other more sophisticated systems. The Airband radio frequencies still continue to play a part though, especially in ground communication with pilots. 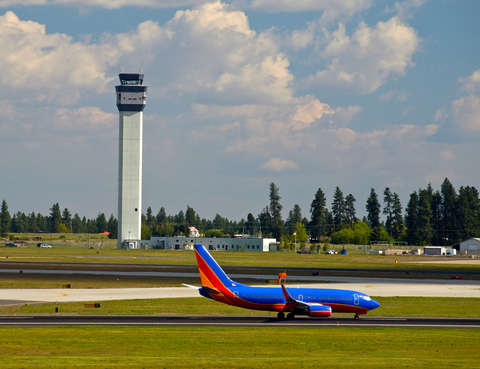 It is used almost exclusively in small airports that don’t have control towers. We have one customer who plans to use the CC Skywave for monitoring the ground to pilot communication at the local air races. For more information on what you might hear or how to listen, visit the links below. It’s too bad the Skywave radio doesn’t have the other air band. I forget the exact frequency but it’s above the 200MHZ area. So I can hear this frequency if I take it to Iceland, Germany, Europe, etc.??? Yes, the airband frequency is the same so if the airport is using those frequencies then you will be able to hear it.